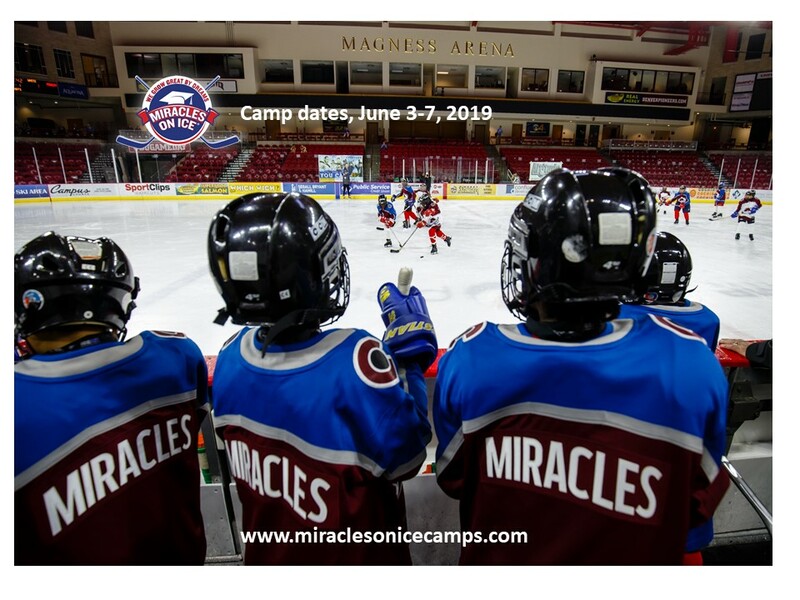 Our 2019 camp will be held at the Magness Arena, June 3-7, 2019. 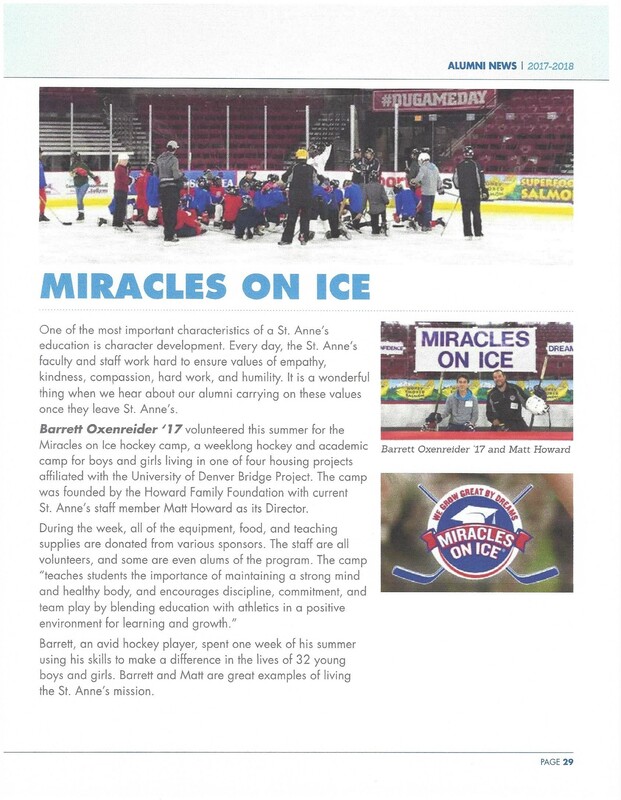 Miracles on Ice Camp featured in Denver Post. 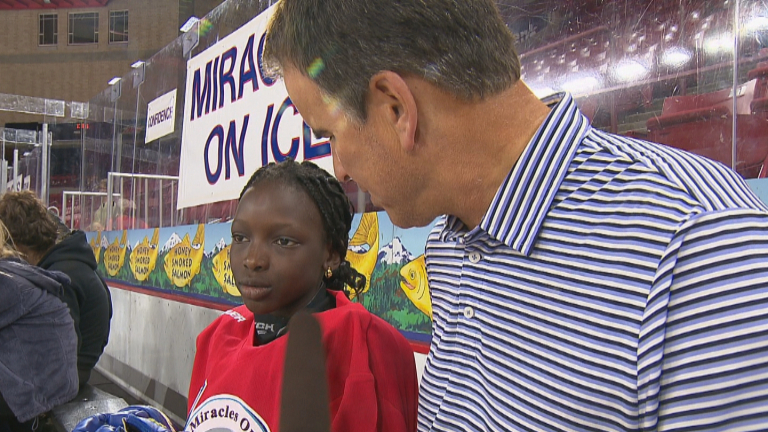 MOI camper Zahara Musa representing Miracles on Ice Camps. 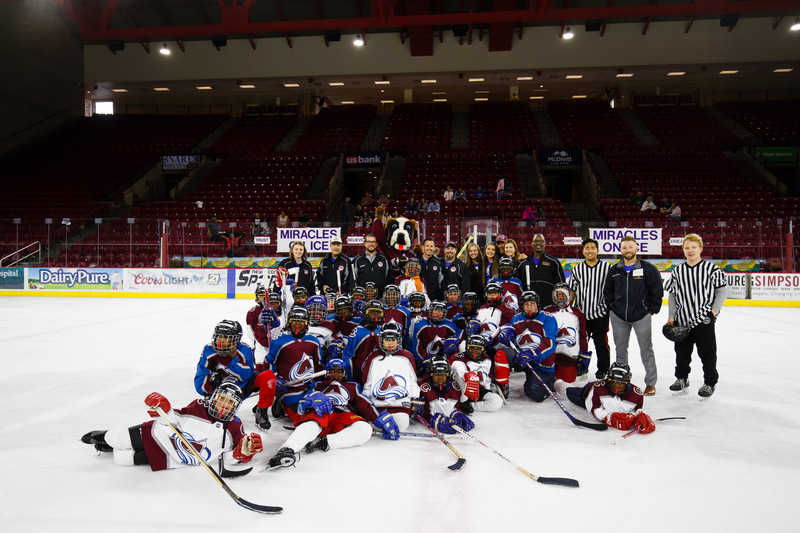 Miracles On Ice featured on CBS4 News. 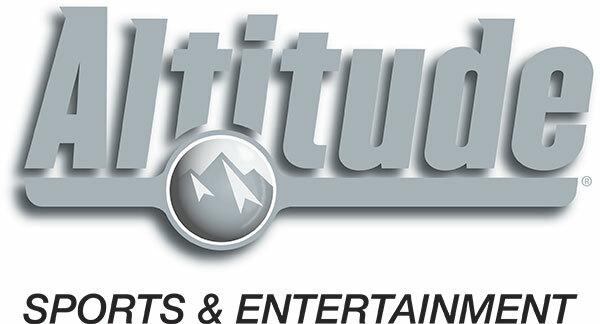 Jim Benemann talks with MOI camp founders, participants and volunteers. 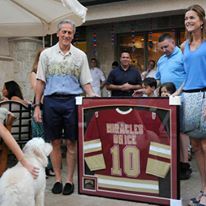 Gary and Leslie receive Commemorative Jersey.